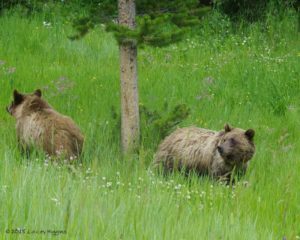 ☆ A Wildness Etiquette —What For? So here we are on that experience of a lifetime that we have planned. Or we’re here visiting – here in the wilderness, in that sanctuary, in fairly close proximity to wildlife, and ready to be in awe! Before we even start, however, one important question to ask ourselves is: are we seeing the wildlife as entertainment for ourselves? Or are we there to learn and help conserve either through our guest payments or through volunteer activities? The answer needs to be that we intend to help conserve and the fact that we get ethically entertained in the process is a gift – the cherry on the cake. Let’s be humble and realize that just by being there, we are modifying the behavior of wild animals. How so? Simple: they see you and by default they will become alert. From now on, one way or another and until you are gone they will keep an eye on you. And the bigger the group of us, the more on alert they will be. This means that for instance, instead of resting or vacating to their activity, they will keep you in sight. This is referred to in the Conservation field as “vigilance and activity shift” ([FA-02], [BG-98]). If they were resting, they will keep an eye open (therefore not resting anymore). If they were eating, they will position themselves so as to have you in sight, therefore decreasing their chance to see other wild competitors. They might even shift altogether what they were doing to do something else (negative behavioral impact). From their point of view, the “Human-caused disturbance stimuli” that we are generating is perceived as a form of predation risk. In short, just by being there, we are interfering and more than often negatively. Again this means they will be at different levels of sustained vigilance. Note, that at this point in time, we have no doubt anymore about the current impact of wildlife tourism on the wildlife itself – backed up by a vast scientific literature that documents the many various wildlife tourism effects [MT-15]. So how about limiting, even eliminating that harm as much as possible? We can do it! That is, we can behave in a way that maximizes safety for all including the wildlife we love, the habitat it lives in and ourselves, and still enjoy the experience. 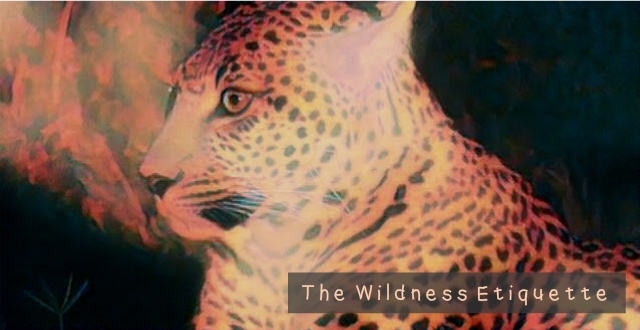 Home / Engage / The EwA Wildness Etiquette / ☆ A Wildness Etiquette —What For?